Noy lives in a family of seven. Since his parents divorced, Noy and all his siblings are living with their mother and grandma. To support the children, Noy's mother plants rice and works for other farmers during planting and harvesting seasons. After that, she may move to different provinces where she can work as a construction worker. Noy had good health when admitted into the program. He is growing up normally. 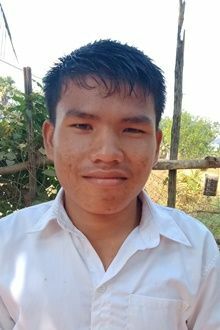 Noy is the grandson of a member of our Savings Group. He belongs to a poor family and educational assistance is needed to help him continue his studies. Tell your friends Noy needs a sponsor!